Bond funds create tax obligations in a couple of ways. 2. What Is a Tax-Free Mutual Fund? Bond funds provide investors with instant diversification through a portfolio of bonds. Bond funds may be actively managed by professionals who buy and sell in the hopes of outperforming a relevant index. Index bond funds don’t compete with indexes, they try to replicate them. Managed bond funds tend to have higher fees due to all of the “added value” provided by active management. But all of that buying and selling can generate a lot of capital gains, which are taxable. Index bond funds buy and hold, minimizing capital gains taxes and keeping fees low. Bond funds send investors Form 1099-INT at the start of each year. The form, a copy of which goes to the Internal Revenue Service, details all the interest you earned from the fund in the previous year, both taxable and, if the fund holds municipal bonds, tax-free. 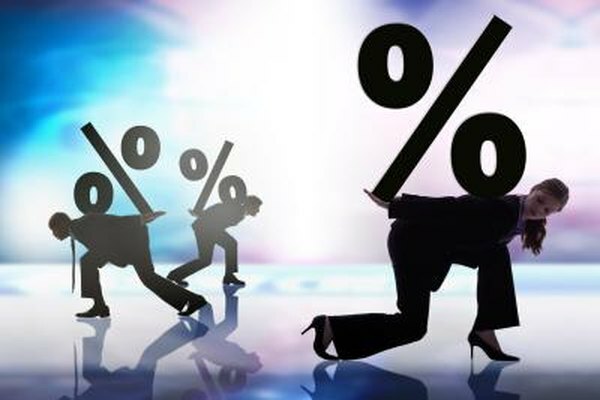 The IRS taxes bond interest at the taxpayer’s marginal rate. Treasury securities are free from state taxes. Interest from bonds held in a traditional retirement account is tax-deferred until withdrawn. Roth-style accounts allow you to escape taxes on interest, subject to rules that are widely available on the Internet. Zeros are bonds that pay all interest at maturity. The tax problem with zeros is that you must pay the accrued interest each year, even though you haven’t pocketed a nickel. Zero-coupon bond funds report this phantom interest, which is is taxed at your marginal rate, on IRS Form 1099-OID. A tax-sheltered retirement account might be a logical fit for zero-coupon bond funds as it defers your tax bill until you make withdrawals from the account. Roth accounts may remove the tax obligation completely. Long-term capital gains arise from trading profits on assets held for over a year and are taxed at favorable rates. Short-term gains are taxed at your marginal rate. Bond funds generate capital gains in two ways. You realize a capital gain or loss when you sell your bond fund shares. Your bond fund realizes a capital gain or loss when it sells a bond or holds it to maturity. In both cases, the bond or fund shares must be held for over a year to qualify for long-term treatment. If your modified adjusted gross income exceeds $400,000 as an individual or $450,000 as a couple, you’ll pay 20 percent on long-term capital gains. Mere mortals who earn less will pay either 15 percent or 0 percent on their long-term capital gains, depending on their tax brackets. As of 2013, certain taxpayers will have to pay a 3.8 percent Medicare tax. This privileged cohort consists of individuals with a MAGI of $200,000 or couples at the $250,000 level. You’ll pay tax on the lesser of your investment income or the difference between your MAGI and the noted thresholds. Investment income includes all passive income -- interest, tax-free interest, dividends, capital gains, rents, royalties and annuities. Distributions from retirement accounts are not included in the Medicare tax calculation. Learn Bonds: What are the Taxes on Bond Mutual Funds? Tax Savvy for Small Business; Frederick W. Daily J.D.